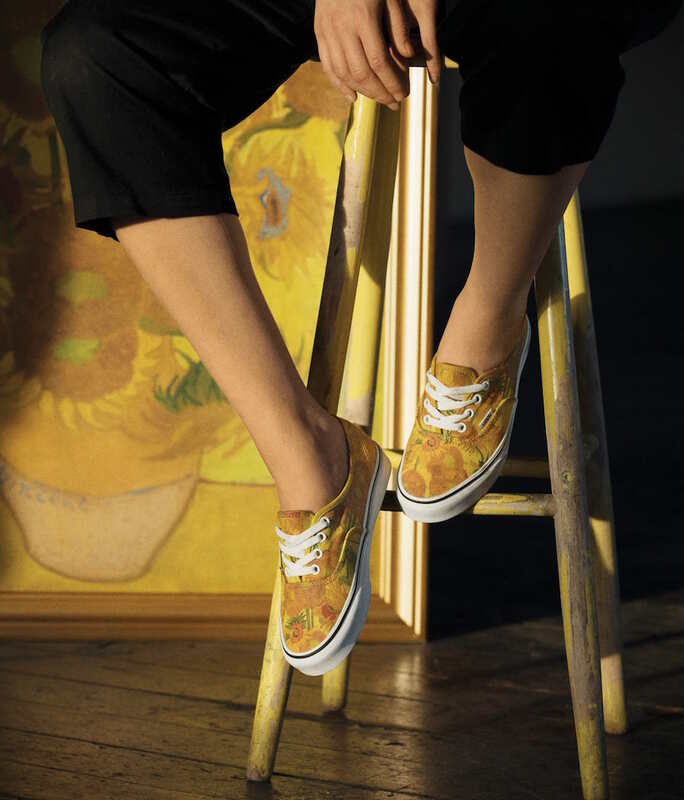 What happens when art comes to life is a question answered by the new Vans x Van Gogh Museum collection that has some of the prolific painter's most notable pieces masterfully blended with select Vans products. Dropping on August 3rd (available now! ), this collaboration promises to honor the visionary's work while also introducing four of his paintings that capture his image to a wider audience outside the museum. The Van Gogh Museum will dedicate a portion of its profits from this project to the preservation of Vincent van Gogh's legacy and collection of art; keeping it accessible for future generations. With a decade's worth of over 2,100 pieces of artwork, the four main bodies of work selected by Vans and the Van Gogh Museum speaks to the creative essence and personal history of Van Gogh himself. The four paintings in question —Skull, Almond Blossom and Sunflowers— and Van Gogh's self portrait showcase the different aspects of the post-impressionist painter's creative style. Skull is representative of Van Gogh's initial foray into art and his focus on color theory showing a series of skeletons that utilized both shade and light in a playful yet dark expression. 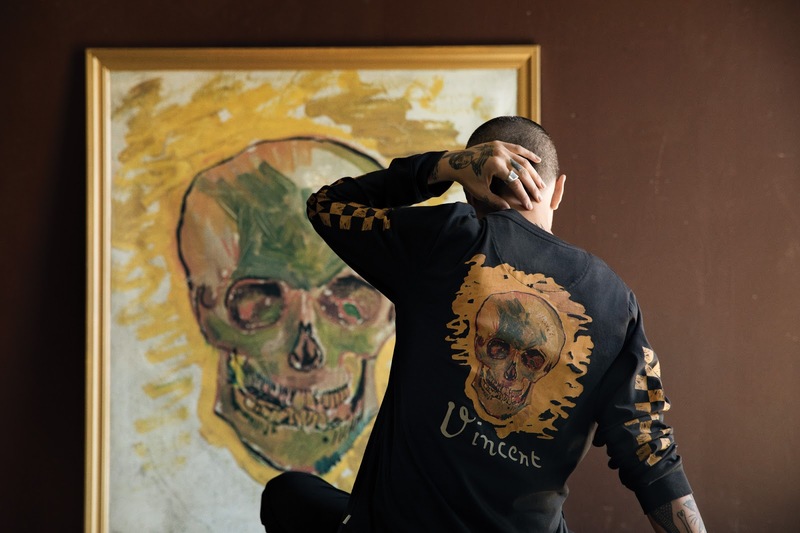 This painting will be presented on the Classic Slip-On, long sleeve tee, hoodie and hat with the human skull placed across each silhouette and the artist's handwriting and brush strokes hidden in a reimagined checkerboard print. I love hoodies, the colour black and skulls, so I had to get one! 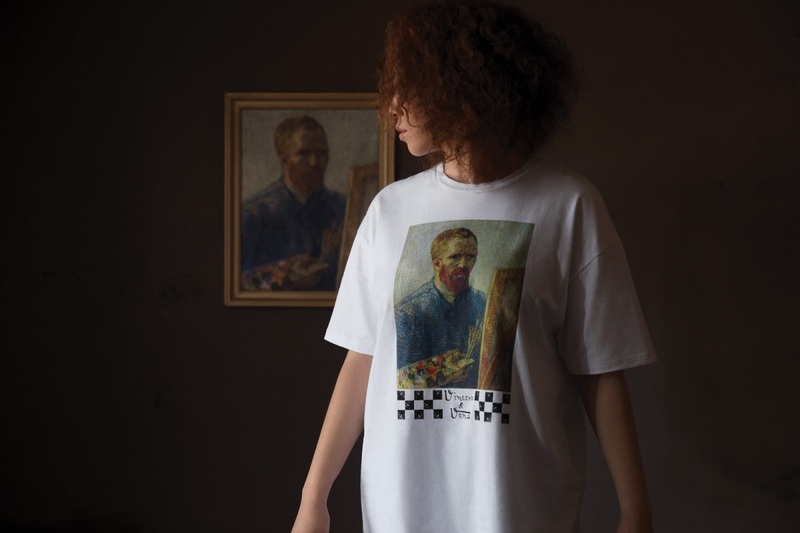 In a round-up of the collection, Van Gogh's self-portrait, which he created using a blend of bright, unblended colors and the pairing of complementary colors can be found atop the Authentic and the Van Gogh Oversized tee. I, particularly, love these kind of oversized tees, so I obviously bought this one and cannot wait to wear it all the time! 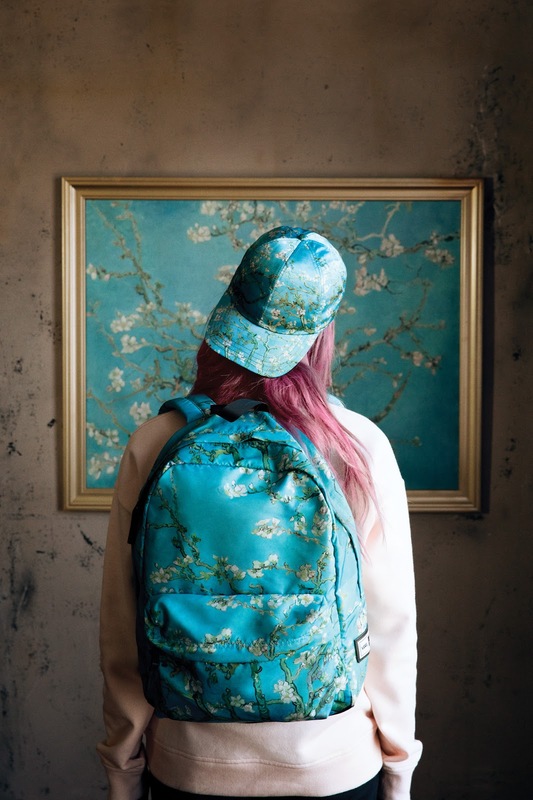 Almond Blossom represents Van Gogh's search for serenity and symbolizes new life as the print and colors of the painting cover the satin Almond Blossom Bomber, hat, and backpack. Although loving this painting so much, I didn't buy anything from it 'cause I'm not a fan of the satin finish and probably wouldn't wear it very often — but every time I see the bomber I die a little. 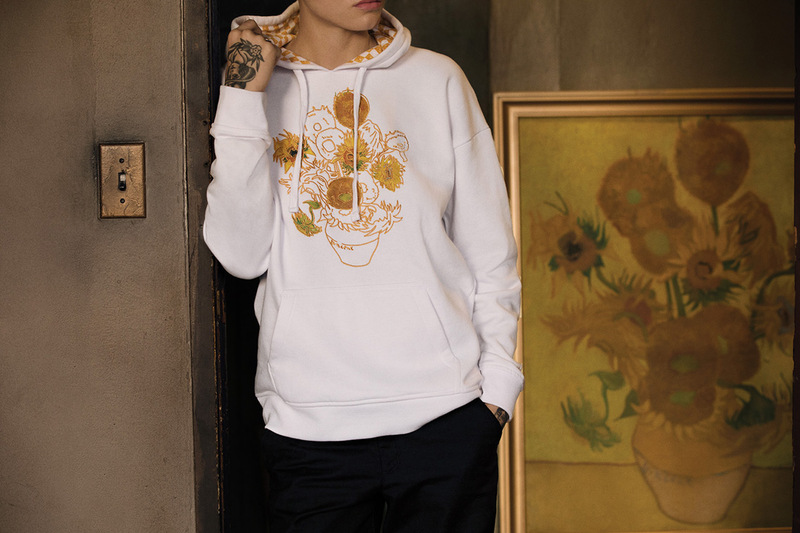 Sunflowers, a depiction of five large canvases with sunflowers in a vase created with three shades of yellow, makes its way on to the Authentic and the Sunflower Boyfriends Tee and the Sunflower Hoodie. A friend and myself now own a pair of these incredible Sunflowers Authentic! 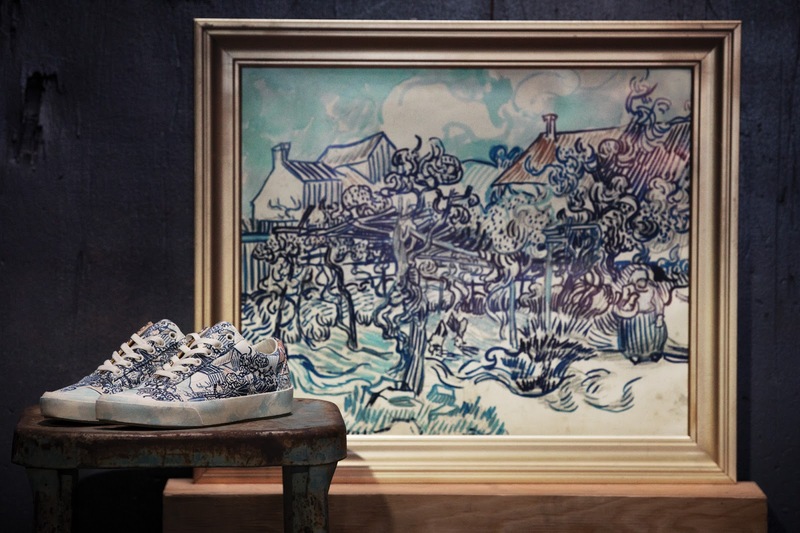 An ode to one of his drawings, Old Vineyard with Peasant Woman, is also presented in the collection as the painting is delicately printed across the Old Skool and a special Classic Slip-On. 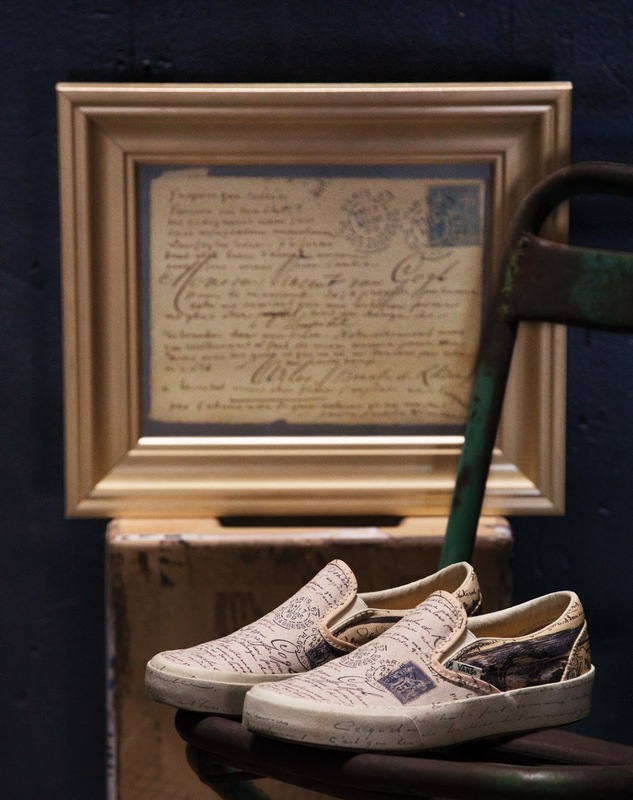 Vans designers also featured excerpts from handwritten letters between Vincent and his brother, Theo, wrapped across the Classic Slip-On model. 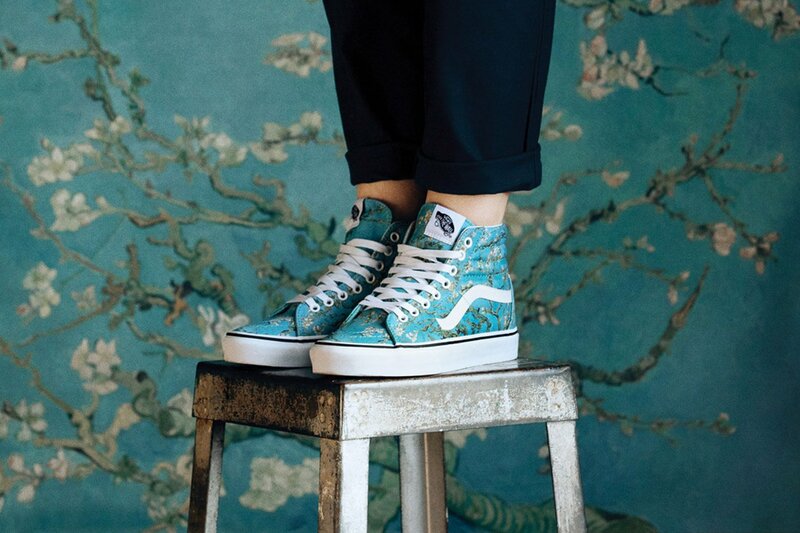 Each model from the footwear collection is tapered with custom footbed art that closely resembles Van Gogh’s brush strokes and accentuated with the Van Gogh Museum and Vans logo lock-up. 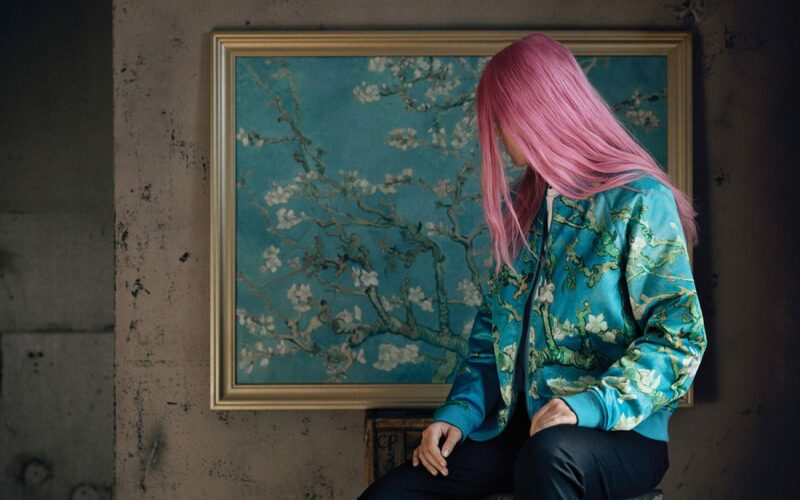 A special hangtag that highlights historical facts behind each Van Gogh piece of art will also be included with each piece from the collection. I went to buy the Sunflowers Authentic and the Self-Portait Oversized tee at the Vans Store in Barcelona (Portaferrissa, 28) and unfortunately they didn't have all of the items, and they also were running out of most pieces and sizes. Some days after that I got the Skull hoodie via Zalando. This collection is now available on vans.com, vangoghmuseumshop.com and selected retailers worldwide!